This mini heat wave has been the perfect excuse to continue my ongoing search for ice cream/frozen desserts in the area. Earlier this week, Dan joined me to check out a certain frozen custard spot in Arlington (to be reported on later). I got sidetracked on the way there though when I spotted the word “donuts” on the awning of an old-fashioned coffee shop. I pretty much have donut radar. I was intrigued because I have done my fair share of donut research and even if I haven’t been to all of them, I thought I was at least familiar with the majority of the donut shops in the area. This name had never come up in my research (though the name is curiously similar to different well-known donut shop in East Boston, Betty Ann Food Shop). The interior is just as old-school as the exterior. 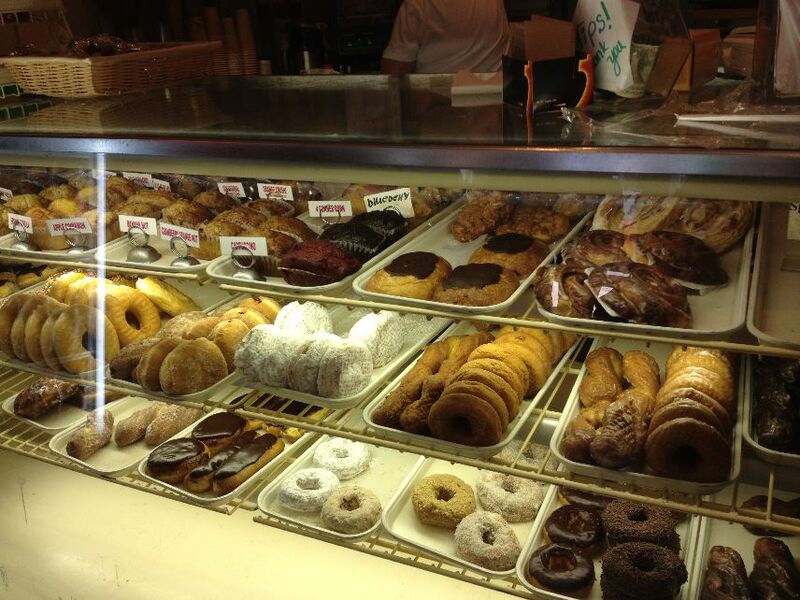 The many donut varieties are laid out in glass case alongside other equally sugary breakfast pastries. Most of the yeasted varieties did not appeal to me, they looked a little too greasy-sugary. The cake donuts though, those looked lovely. They come in plain, glazed, chocolate glazed, powdered sugar, cruller and more. I selected a glazed cake donut, a sort of control variety that I try to order at every shop. I’d give it a solid 7 out of 10. The exterior was perfectly golden, with a modest layer of glaze. The inside was fluffy, not greasy. I’d put it somewhere between Donuts with a Difference and Verna’s, not as awesome as DWAD, but better than Verna’s. I stopped at just one since I still had frozen custard on the agenda, but that first one was good enough that I would willingly go back to try a few more. 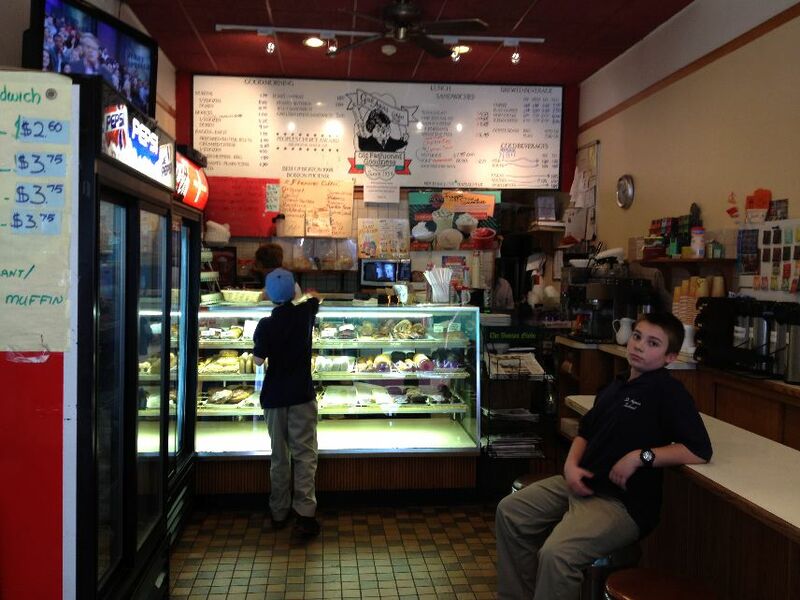 This entry was posted in Boston, Reviews and tagged donuts, MA. Bookmark the permalink. You definitely have great doughnut radar! Wish I had that cake doughnut right now! It was so weird how we were just walking down the street and you suddenly stopped and changed direction, as if led by some mysterious force toward donuts. Haha, I’m glad you got to witness it firsthand. I doughnut shop you didn’t know about!? glad you made a good discovery. I love discovering new places like that. And you seem to really know your Boston donuts! Have you tried Linda’s in Belmont? Amazing. The sugar raised donut is one of the single best donuts I have ever had. Your donut love is hilarious! I am not usually a donut fan but running definitely has me craving them over the past few weeks! Is a review of Chilly Cow coming on the blog soon?! beep beep beep 🙂 love the looks of that donut! Mmm doughnuts! I love your commitment to them! if I could have any kind of radar, I think donut-radar would be up there as one of the best. 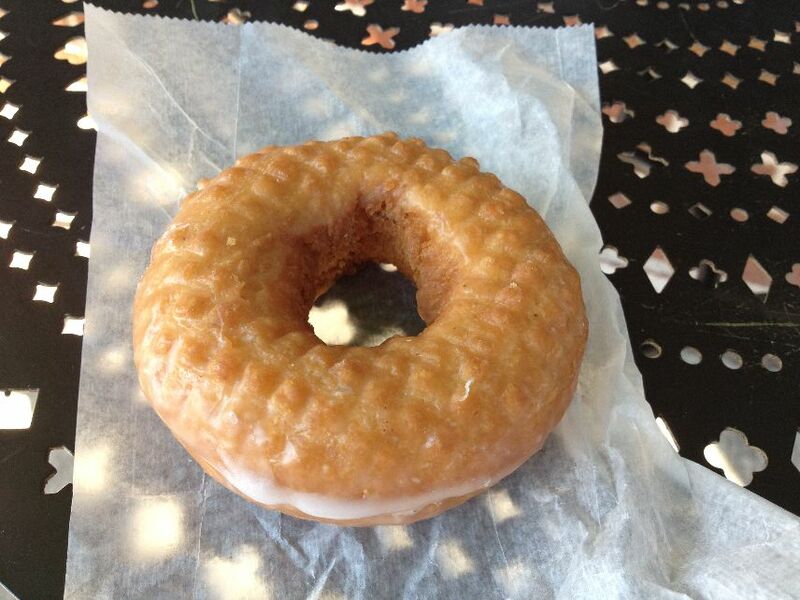 I don’t think I’ve ever seen a glazed cake donut…only the yeasted kind. Looks yummy! 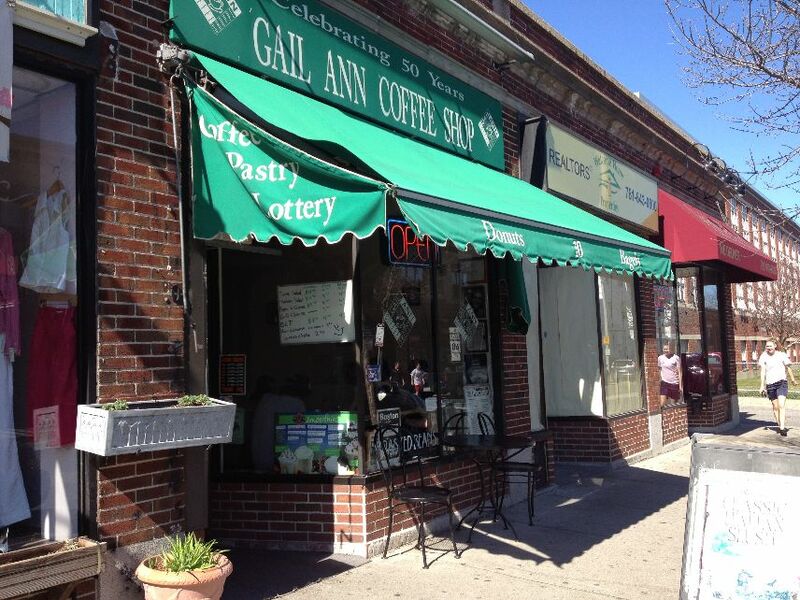 Did you notice that the picture showed “Celebrating 50 years” above the awning? Better late than never, I guess, but I suspect an effort to keep a secret. We used to load up there after church, which is almost next door. Awesome mocha jelly rolls and lemon squares, too. Now, what is the deal on these terrific squarish patterns for when you don’t have a picture of yourself?